When you are looking for cheap options for drug testing cups, you should opt for Ovus Medical. They are a trusted American Based Company that is FDA Approved and CLIA approved one which is a renowned for their quality products. If you are looking for bulk order of 20ft containers, that contains 43,800 cups. Ordering these 20ft container will surely cut down cost per cup to $1.90. 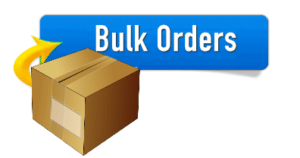 If you are looking for bulk order of 40ft containers, that contains 110,000 cups. Ordering these 40ft containers will cut down cost per cup to $1.80. The shipping cost for 20ft container is $3000. The shipping cost for 40ft container is $4500. To make it easier for you, the team of Ovus Medical has made it easier for you to buy and resell these container cups. There is custom configuration available with the drug testing cups by Ovus Medical under private label. So, you can resell them. You will get your delivery within 8 weeks of your time. The best part is you will never be dissatisfied with their services. When you are looking for the best quality urine drug test cup container, rely on Ovus Medical who offer you the best quality testing cup container at the most affordable price range. 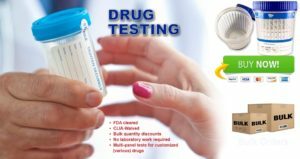 The testing cups provided by Ovus Medical offers you the best drug testing results which include urine analyze, temperature test and a drug test. The best part is they are self-analyzing instruments and they do not require any other tools. These cups easily can evaluate the human urine for the presence of any drugs and that too above the cut off limit. These are extremely easy to use, for self-analyzing and the best part is, they are highly affordable in comparison to laboratory testing.